Juventus North America Blog :: Ahmet Cakar suggests 'fixed' Champions League draw. Ahmet Cakar suggests 'fixed' Champions League draw. 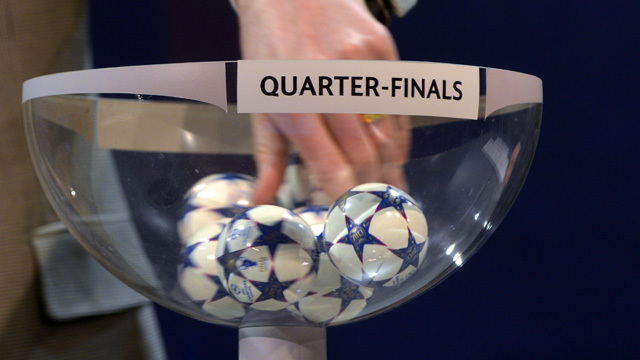 Heated balls, squishy balls, heavier balls, bigger balls – we've heard all these conspiracy theories of how UEFA allegedly rig their Champions League draws. Now a former International referee has now gone further, explosively claiming that UEFA use vibrating balls to ensure that the biggest clubs are kept apart until the latter stages of their competitions. The Turkish official, Ahmet Cakar, has sensationally suggested that the former football stars that carry out the draws have metal objects in their hand which pick up vibrations in the balls as they bounce around in the pot. This therefore allows the stars to know exactly when to draw each ball and guarantee the ties that UEFA’s top brass desire. Those incriminated by the allegations would include former footballing heroes including Steve McManaman and Patrick Kluivert – who picked out the balls during last week’s respective draws – while past legends such as Denis Law, George Weah and Ruud Gullit would also be accused, having presided over draws in years gone by. Cakar also believes that UEFA General Secretary, Gianni Infantino also plays a part in this deception – with Cakar accusing him of suspicious hand movements while the draws take place, with the Italian seen to be moving a lever beside the pot of balls during last week’s draw. Suspicious, indeed. 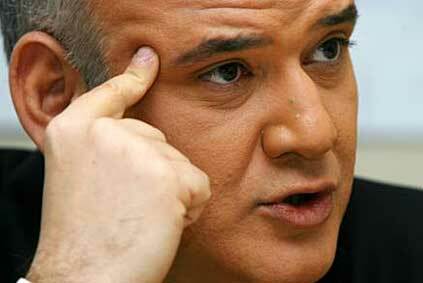 The wacky official, who has re-invented himself as the country’s most controversial TV pundit carried out a bizarre demonstration, live on national Turkish television, in which he showed the ease with which a draw can be fixed. Going through a methodical system that he believes UEFA use (although he does not reveal his mysterious secrets), Cakar mystically picks balls out of a bowl with the intention of recreating the exact order of last week’s Europa League quarterfinal draw. Cakar keeps his eyes closed throughout but he still manages to spookily create a draw identical to the one that UEFA carried out last week. The Turk’s suspicions were raised when, during the Champions League last 16 draw in December, the rehearsal draw corresponded exactly with the real one day later, with bookmakers offering odds of 5,000-1 of the incident occurring, while others suggested the odds could be as extreme as nearly 2,000,000-1. The official’s major concerns also surround his conviction that Europe’s biggest names are favoured by being handed 'easier' ties while Cakar maintains that clubs from the same country are also separated for as long as possible. Interestingly the evidence of last week’s draw does little to dampen his speculation – with Real Madrid, Barcelona and Bayern Munich, the clubs widely considered to be the competition’s favourites – all being kept apart. There is a particular sense of injustice in Turkey, with supporters believing that Galtasaray were purposely drawn against Real Madrid so as to ensure that, as a 'supposed' weaker side, they would be eliminated before the latter stages of the competition. Adding further fuel to the fire is the fact that no clubs in either the Champions League or Europa League quarter-final draw were drawn against a team from the same nation – despite the fact that the Champions League competition has three Spanish clubs out of the remaining eight still in the competition and the Europa League had three English clubs of the remaining eight still in their competition.